HIVAC-G features a base oil of specially refined silicone fluid, compounded with silica powder. This oil compound has excellent heat resistance, oxidative stability and chemical stability. Through an intensive refining process, volatile content has been reduced to very low levels, thereby making it possible to attain high vacuums of 10-6 Torr. 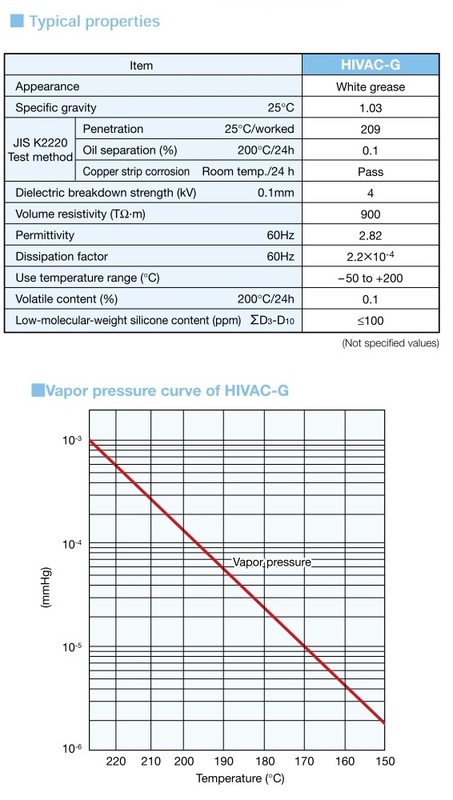 HIVAC-G forms exceptionally tight seals on gaskets and sliding mechanisms, and is widely used as a sealing compound for high vacuum devices.